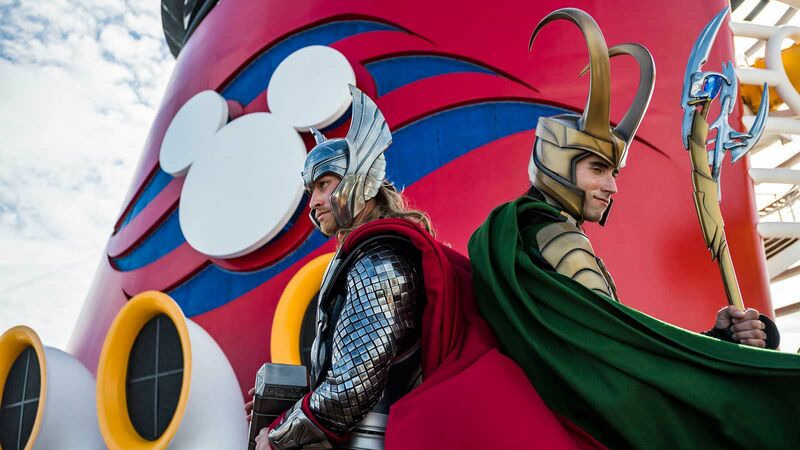 On the high seas, Mickey Mouse (and Disney cruises) are king. Both an internationally recognized and trusted brand, Disney offers travelers a known quantity. Travel + Leisure holds Disney cruises to their own high standards, taking measure of their ships, routes, activities, service, accommodations, and food. T+L readers regularly rank Walt Disney cruise ships at the top of the magazine’s World’s Best Mega Ship list. The Disney fleet plies the waters of the Caribbean, the Baltic Sea, the Mediterranean, the British Isles, Alaska, and Canada—sounding its signature When You Wish Upon a Star horn as it leaves ports across three continents. The line’s Art Nouveau interiors play host to activities from nightly kid-friendly movie screenings, Broadway-style musicals, and Disney character experiences to adult-oriented karaoke and trivia nights as well as whisky and rum tastings. On their Caribbean routes, Walt Disney cruise ships bring passengers to Castaway Cay, the line’s private island. Disney Cruise Line is, fundamentally, a family-oriented operation. The company offers a premium experience for a premium price—base fares tend to be higher than those on comparable ships. But that fare also tends to be more inclusive, covering all-you-can-drink soda and all-you-can-eat ice cream (both a curse and a blessing) as well as 24-hour room service, among other perks. Though much is included in the flat fare, expect to pay a daily per-person gratuity (totaled and charged to you at the trip’s end), as well as additional fees for spa treatments, sauna and steam room access, premium adult-only restaurants, alcoholic beverages and smoothies, childcare, WiFi, shore excursions and tours, and adult-only classes (e.g., tastings) and activities (e.g., bingo). Plan ahead and prioritize the experiences most important to you. Looking for a cruise your kids will never forget? Or a journey that delights your inner kid? Disney delivers the magic, and T+L, the recommendations.